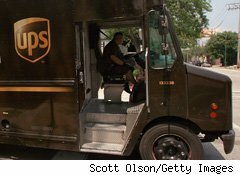 UPS (UPS) will hire 50,000 seasonal employees to work over the holiday season. The company is taking on temporary staff to work in positions including package sorters and driver helpers, CNNMoney reported. They will work through the company's busy season, which covers the holiday period from Thanksgiving to Christmas. The number of seasonal workers is unchanged from 2009. The hiring process will begin this month, with a "significant number" of seasonal employees being offered permanent positions, the company said. In recent weeks, both Kohl's and Toys 'R' Us said they planned to take on thousands of temporary employees for holiday season.